If you know me, I’m not a fan of food. We just have a love/hate relationship, that’s all. It doesn’t mean that I don’t eat. When I’m hungry, I eat quickly to get it over with and then move on. However, I do like watching cooking shows when they’re preparing something sweet and delicious. Their kitchens always have everything they need. Is it just my kitchen where we turn breakfast (turkey) sausage with an ice-cube tong? On one of those shows, I learned the French term, “mise en place.” It means “putting in place” or “everything in its place.” A good chef will prepare everything the recipe needs in advance and skillfully add it accordingly. I missed that vocabulary lesson in 8th grade French class; so, I just dump cheese out of the bag or cut up some leftover chicken and push the microwave to 30 seconds for starters. If it isn’t melted enough, then another 20 seconds will usually do it. I call it my “melt in place” method. It works for me. This month, there’s something I know more about and it begins with the Hebrew month of Elul, which precedes the Jewish New Year in the month of Tishrei. It’s an entire month of putting things in place before the New Year begins. It’s nothing to rush into. There’s so much on the line, personally and communally. 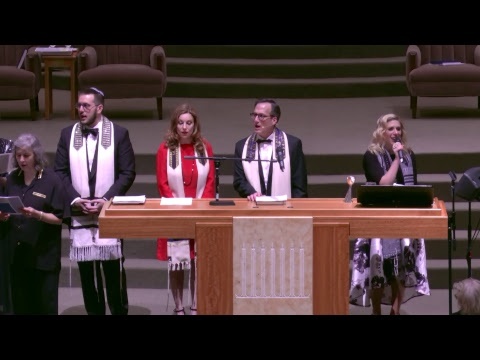 In small measures, familiar prayers and songs begin to set the tone for ten days of repentance between Rosh Hashanah and Yom Kippur. One custom is to hear the sound of the shofar daily, except Shabbat, to awaken us to the season. There is nothing like the Shofar sound. Its tone is often used in interfaith settings where the ancient call turns us towards a shared purpose of unity and peace. On Rosh Hashanah, the mitzvah is to hear the Shofar so that the tekiah, shevarim, and teruah move us to return to God, Torah, and Israel. Granted, preparations take on different forms in different families. Some do take time to hear the Shofar and engage in personal contemplation and prayer. It serves their religious need to participate in the rhythm of Jewish life at this season. Others prepare their families to welcome the holiday. Invitations to join in Rosh Hashanah meals or Yom Kippur break-fast become important rituals, too. They welcome home family and friends to the season’s promise of renewal. It all takes time to prepare properly. The alternative is that we rush to the synagogue to find a parking space and then our seat. We look at our watches or check email on our phones to pass the time before the doors open for us to leave. It’s a terrible way to do anything, let alone engage in High Holiday worship. It’s like pushing the microwave button to 30 seconds and standing impatiently for the time to pass. The goal for Elul is to prepare to stand before God. Though we might imagine trembling before God, the name of the month, Elul, can be seen as an acronym for the verse, “Ani l’dodi v’dodi li,” I am my beloved’s and my beloved is mine. These words come from Song of Songs (Shir HaShirim) in the Hebrew Bible. Song of Songs is called an allegory of God’s love for the people Israel. Therefore, Elul is about two “lovers” preparing to return to each other. The imagery prepares us to see our weighty task of repentance, prayer and charity, as valuable work that will bring us back into the embrace of our lover. In Judaism, God is not interested in the death of a sinner, but rather that those who transgress or stray too far from the covenant will repent and return. The rabbis, so fervent about God’s love, explained that even if we can’t return all the way to God, God will meet us where we are and accompany us to wholeness. Our Judaism’s hope for the season is bound up in God’s unconditional love for our people. During Elul, we say, “Hashiveinu v’nivashei’a,” bring us back, and we will return. May all our preparations for Tishrei go well for us. May the New Year be as sweet and delicious as we can make it and with God’s help.